The first creative writing workshops for the ‘Shared Stories: A Year in the Cairngorms’ project get underway next month. Whether you’re already a writer or totally new to creative writing this is your chance to explore your relationship and attitude to nature in the National Park through fun and supportive creative writing activities. ‘Shared Stories: A Year in the Cairngorms’ has been organised – and part funded – by the Cairngorms National Park Authority (CNPA) with a funding award of £8,000 from Creative Scotland and £10,000 from the Woodland Trust. 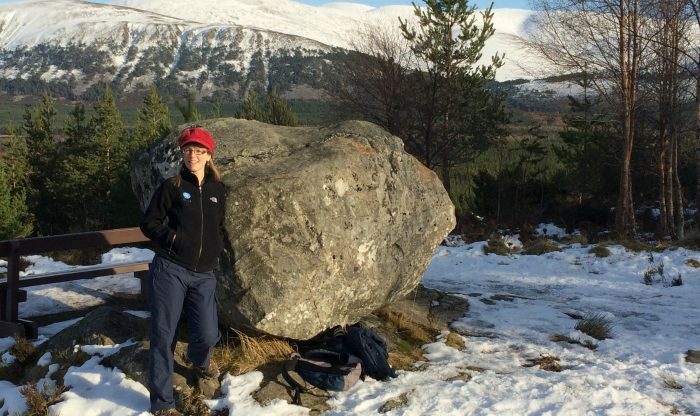 Led by the Park’s first ever Writer in Residence – Merryn Glover from Kincraig – the project aims to encourage people to put pen to paper to share and explore the ways in which people and nature thrive together in the Cairngorms National Park. Whether attending workshops or not, people are encouraged to submit their writing on the themes of people’s relationship to nature to the ‘Shared Stories’ project, some of which will be published online, on displays and in an end-of-year anthology. For more information about ‘Shared Stories: A Year in the Cairngorms’ please visit the CNPA website. Through the year, Merryn will also be working on her own writing around people, nature and a sense of place, which can be followed on her blog.